In nearly every sci-fi story, there are jets of colored light shooting through the air. In fiction, lasers are used for almost everything, from futuristic weapons to tools for communication and discovery. On one hand, it makes sense that lasers are so ubiquitous in movies and TV shows: they are flashy, exciting, and novel in ways metal machinery and bullets can never be. On the other hand, there is a more obvious reason this tech so pervasive in depictions of the future: Lasers are everywhere now. Humans have been using lasers in a practical sense since the 1950s. A laser-filled future is entirely conceivable given that the tech is already indispensable in a number of contemporary industries and fields. Indeed, lasers are as functional as they are fascinating, and they certainly earn a place in the world of tomorrow. A laser isn’t just any colored beam of light; the difference between light produced by a flashlight and light from a laser is like the difference between ripples of water in a bathtub and tidal waves in the sea. The term is an acronym that stands for Light Amplification by Stimulated Emission of Radiation, and it describes how lasers are produced. In nature, atoms generate energy when their electrons shift into different positions. Most often, this shift is spontaneous, and therefore it causes random colors (or wavelengths) of light particles (photons) of varying sizes that last a random time period, from milliseconds to eons. On Earth, humans can control the creation of lasers: Firing an electric current or photon into special glass, crystal, or gas, scientists can force electrons to shift in unison to produce a single beam of photons with an identical wavelength (or color). Typical light is white and diffused because it is an amalgam of all photon wavelengths; conversely, lasers are incredibly bright, narrow, and single-hued because their photons are a single wavelength moving in phase. Perhaps surprisingly, this unification of wavelength transforms light into an endlessly useful tool. Solid-state lasers. Constructed from some solid crystalline material, these lasers are particularly high-powered but incredibly brief. Gas lasers. Using the noble gases or carbon dioxide, these lasers can generate continuous bright beams. Liquid dye lasers. 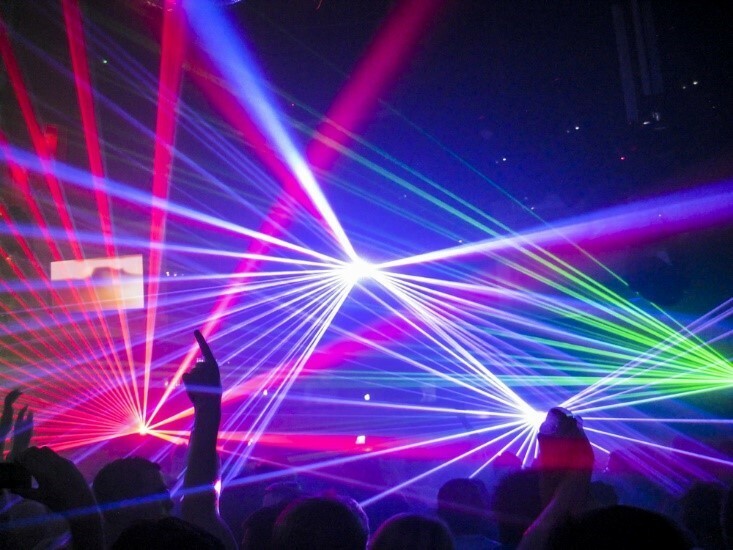 Pumped with organic dye molecules, such as rhodamine, fluorescein, tetracene, and malachite green, these lasers produce a broad band of light frequencies and can be tuned to produce more, unlike other lasers. Semiconductor lasers. A cross between an LED light and a laser, these lasers tend to be cheap and weak. Fiber lasers. Amplified through optical fibers, these lasers are more efficient and reliable than other lasers, making them practical laser solutions. Lasers are interesting phenomena, but more importantly, they are vital tools for creating various products. In manufacturing, lasers can be used to aim certain tools, make critical measurements, and physically alter different materials, such as by cutting or searing with pinpoint accuracy. Because lasers are incredibly accurate, they generate less waste than other manufacturing tools. Most modern communication would be impossible without lasers. 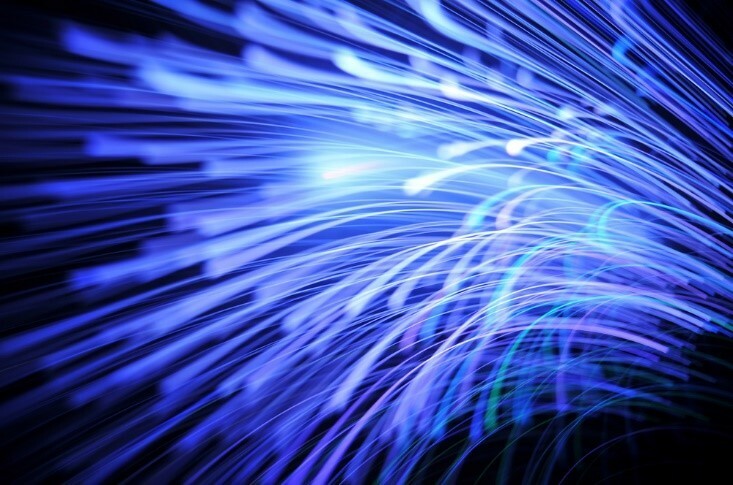 Fiber optic cables allow humans to make phone calls and use internet services at lightning speeds without previous methods’ inconveniences, like crosstalk. Plus, lasers are not susceptible to interference from electrical and magnetic fields, ensuring everyone a clear connection. Medical practices have always been risky, but the modern use of lasers has diminished that risk. Lasers in surgery are more precise than the human hand, which means they can complete incisions, especially on delicate bodily regions like the eye or brain, with greater success. Plus, laser treatments tend to be less painful and heal faster than traditional methods. What’s more, the healing process itself can be improved through the effective use of lasers. The new and non-invasive K-Laser therapy, for example, uses specific wavelengths of light photobiostimulate for tissue cell metabolism. Stimulating the body’s natural healing processes, the therapy aims to reduce pain by limiting swelling and increasing circulation. K-Laser therapy is currently available through certain licensed practitioners like Anglia Chiropractor who are currently the only licensed Norwich chiropractors. There is hardly a STEM field that doesn’t use lasers. Environmental scientists use lasers to measure air quality or to purify water samples; chemists use lasers to monitor swift chemical processes; biologists use lasers to study cellular activity; and so on. While we use science to learn more about lasers, lasers aid science in a variety of ways. Today, humans can make lasers as wide as football fields or smaller than a pin-prick; we can make them in a spectrum of hues, and we can sustain them for hours or shoot short blasts of light. Undoubtedly, we will gain even greater control of lasers in the coming years. Ultimately realizing that fantastic depiction of a laser-filled future.